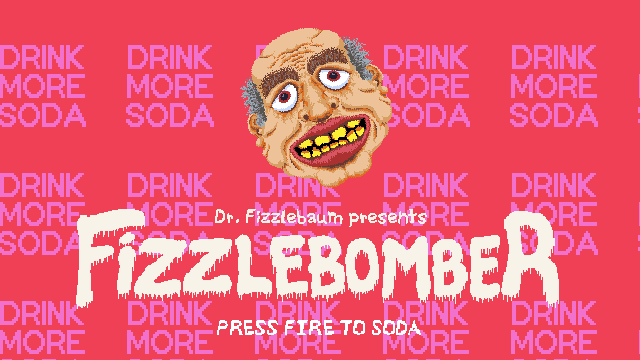 Dr. Fizzlebaum and the Fizzlebaum Soda Company proudly presents the latest breakthrough in soda tech: FIZZLEBOMBER. Join the fight against health food propaganda and ensure that humanity does what is most important in life: DRINK MORE SODA. 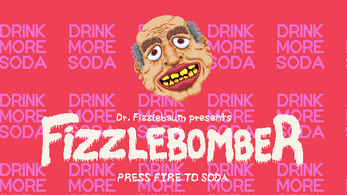 Fizzlebomber puts you in the cockpit of our state of the art soda machine the: Fizzlebaum Soda Launcher 3000™. 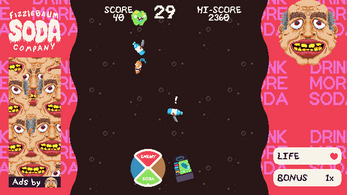 You have 60 seconds to take down as many enemies as you can and ride into Valhalla - SUGARY AND SWEET. One thing you must remember: every enemy has a vulnerability: it's complementary color. You must use the patented Fizzlebaum Flavor Selector™ wheel to match the soda flavor to the complimentary color of the enemy that you are targeting. Disclaimer: The above statements have not been reviewed and approved by the FDA, because they wouldn't return our calls. 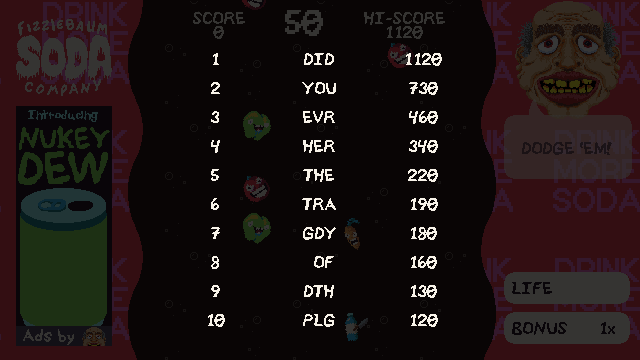 What can you do... I guess we can always drink more soda.  Fizzlebomber was originally built as an entry for Game Jam Pittsburgh 2018 and showcased at ReplayFX 2018. Rotate the color wheel to choose a soda flavor. 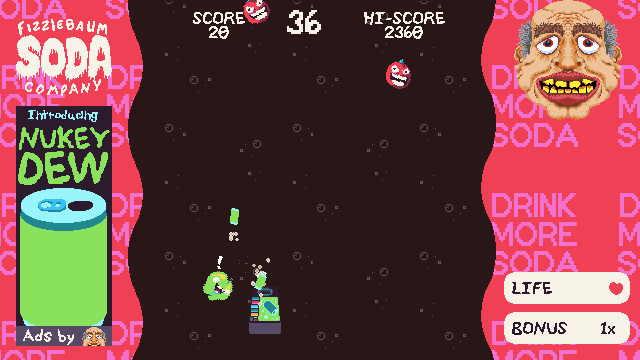 Match the soda flavor to the complementary color of the target enemy. Accuracy is rewarded! 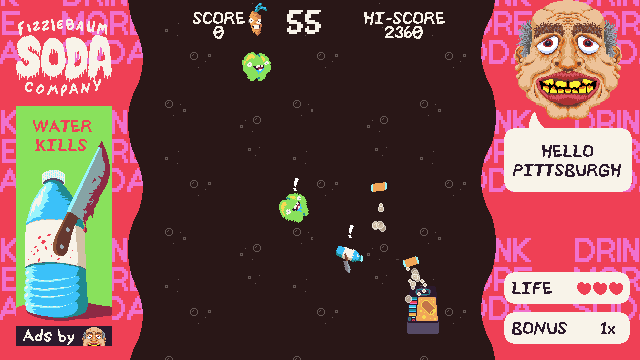 Avoid missing shots to earn a bonus multiplier. Fizzlebomber supports keyboard & most controllers! Use the shoulder buttons or the LEFT and RIGHT arrow keys to rotate the color wheel. Fire soda cans with the A or B buttons or with the SPACE bar! 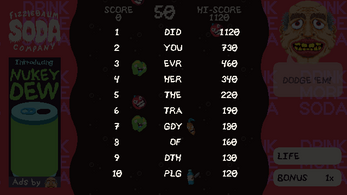 Fizzlebomber stores game data to the user's machine, currently it is just a local leaderboard. Install Fizzlebomber via the itch app. Download the corresponding version for your operating system, unzip and double-click the Fizzlebomber application to start. We did enjoy the game and would be happy to play it again when more content is available.